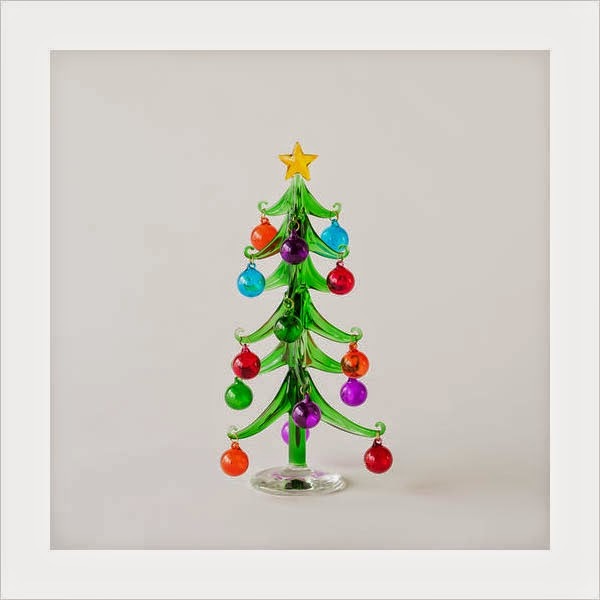 looking for our mini glass christmas tree with clear base 10"/25cm? have a small apartment, studio, dorm or just want a no-hassle tabletop-sized miniature christmas tree? inspired by modern european christmas decorations, our all-glass green christmas tree evoke the subtle beauty of understated simplicity but in a colorful way. each beautiful tree flaunts little tiny glass ornaments in richly colored glass and has a warm-toned christmas tree star topper (also in glass). this miniature tabletop tree looks amazing when light reflects on it. a wonderful addition for shelf, mantel or table. it is also popular with our customers who use them as stylish christmas gift ideas. everybody loves this tree!